My trip to West Cape Howe came at the cost of some equipment. The winds were incredible. 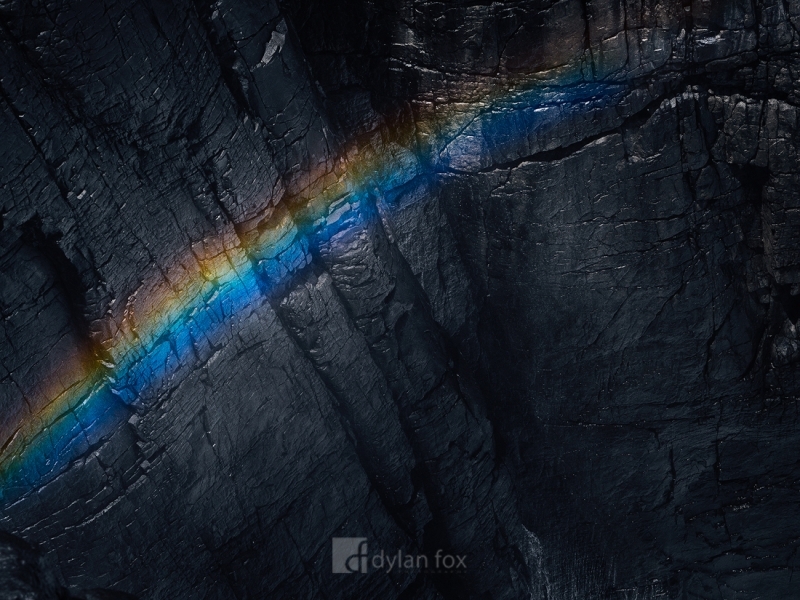 The rainbow in this photograph was made by the sea spray from huge swells crashing into the cliffs that are found along the edge of the park. The wind at times made it near impossible to walk with out going way off track. Moments after I captured this image, the wind blew my tripod and camera over. I managed to grab one of the tripod legs before it went over the edge, but one of the tripods other legs was snapped clean in half in the process. The winds during my stay also bent my tent poles and damaged my camp stove. Its the wild weather that makes for interesting photographs. Secure your limited edition, West Cape Howe print, 'Colours of the Dark', by selecting your desired print size in the menu to the right.